Professor Kaiser received a PhD in Solid State Physics from Wayne State University in 1984. From 1977 through 1986, as a member of Ford Motor Co. Research Staff, his development of automotive sensor and embedded system technology resulted in large volume commercial sensor production. At Ford, he also developed the first spectroscopies based on scanning tunneling microscopy. From 1986 through 1994, at the Jet Propulsion Laboratory, Dr. Kaiser developed and demonstrated the first electron tunnel sensors for acceleration and infrared detection and initiated the NASA/JPL microinstrument program. 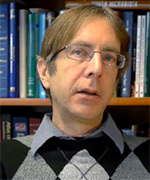 In 1994, Professor Kaiser joined the faculty of the UCLA Electrical Engineering Department. In collaboration with Professor Greg Pottie, he initiated the first wireless networked microsensor programs with a vision of linking the Internet to the physical world through distributed monitoring. This continued research includes the topics of actuated sensor networks for environmental monitoring, networked embedded systems, low power integrated circuits and systems for wireless networked sensing. Professor Kaiser served as Electrical Engineering Department Chairman from 1996 through 2000. Professor Kaiser has over 220 publications, over 140 invited presentations, and 35 patents. He has received the Allied Signal Faculty Research Award, the Peter Mark Award of the American Vacuum Society, the NASA Medal for Exceptional Scientific Achievement, the Arch T. Colwell Best Paper Award of the Society of Automotive Engineers, two R&D 100 Awards, the Brian P. Copenhaver Award for Innovation in Teaching with Technology, the 2007-2009 Gold Shield Faculty Prize, and Best Paper Award at the BodyNets 2008 Conference, Best Demonstration Award at the Wireless Health 2010 Conference and Best Paper Award at the Wireless Health 2011 Conference.